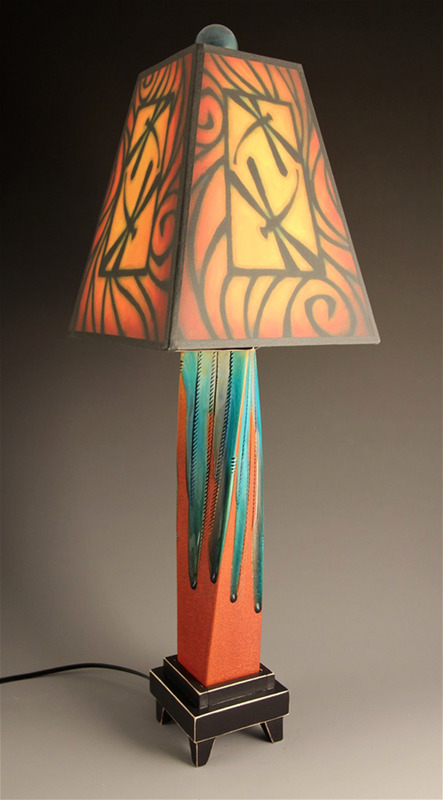 Spooner Creek & Macone Clay is a family run studio in Wisconsin making hand glazed art tiles, extruded clay vases and lamps, mixed media key holders, clocks and picture frames. We've been selling our art to fine shops and galleries all over the country for over 30 years. Our extruded lamps are 8" x 8" x 25". We melt glass over an extruded clay vase that is held by a distressed wood base. The shades are made from Michael's artwork and printed on heavy archival lamp shade paper and UV coated to last a lifetime without any fading. There are three different glaze colors to choose from and straight or twisted base. 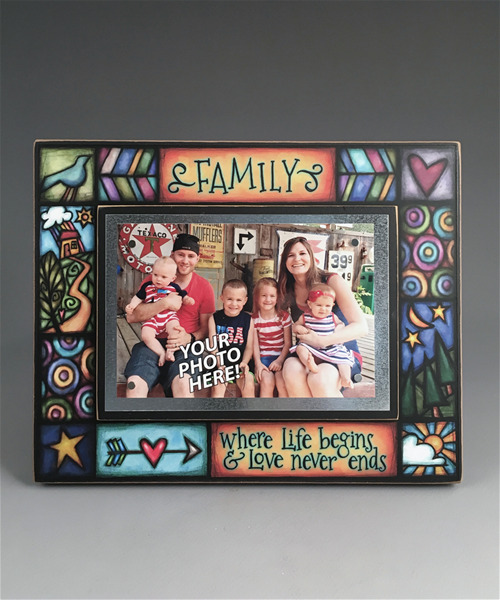 Frame featuring the artwork of Michael Macone with quote, "Family, where life begins and love never ends." This 8"x10" frame holds a 4"x6" photo on a sheet metal square with four super-strong rare earth magnets. It is pritned on archival paper with archival ink which is attached to wood, then UV coated to last a lifetime. 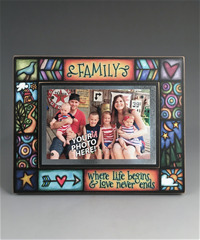 This frame can either hang or stand, with included peg. Spooner Creek Large Tall Tile with quote, "Love the journey, take the scenic route." Measures 3.5" x 8.5"